At October’s Adobe MAX 2018, Adobe Research scientists and engineers showcased a handful of experimental technologies, offering a sneak peek into the future of digital creativity. While still in their early stages, these projects amazed the Los Angeles audience. 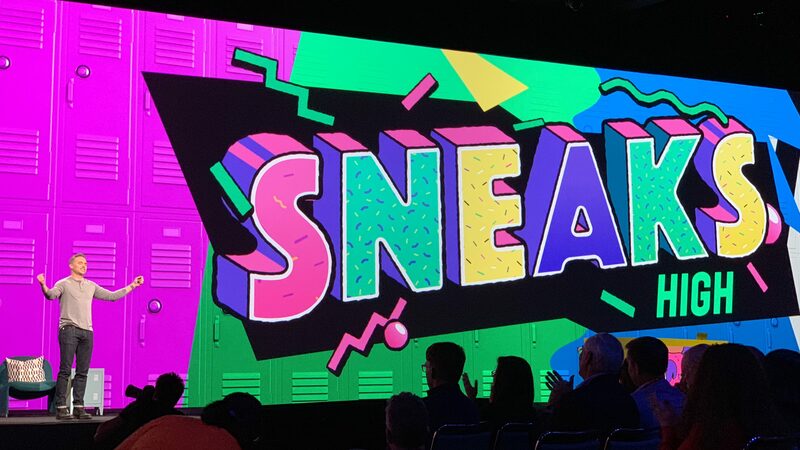 This year’s Sneaks were co-hosted by comedian, actress, and writer Tiffany Haddish and Adobe’s Paul Trani, senior Creative Cloud evangelist. Fantastic Fold comes to the rescue of designers who want to create folded 3D shapes, such as boxes, papercraft, or folded carton packaging. The technology automatically calculates the 3D shape from a 2D pattern of cuts and creases, and creates an interactive mapping between the 2D and 3D representations. Fast Mask uses AI to select an object in a video and accurately apply a mask across multiple frames, making a laborious manual editing process nearly automatic. An intuitive tool for working with 3D human-made objects, Model Morph allows you to edit objects easily and quickly while preserving symmetry. This technology also avoids introducing distortions. Moving Stills enables any photograph to be turned into a “live photo,” animating the image in 3D and simulating a realistic effect of flying through the photo. Moving Stills uses deep learning to generate videos from a single still image. Kazoo turns your voice into music. This technology uses AI to convert a person’s singing voice into the sound of a musical instrument, and it can also quickly change the sound of one instrument into another. Check out all the 2018 Sneaks in this Adobe Blog post or on Adobe’s Creative Cloud YouTube channel!